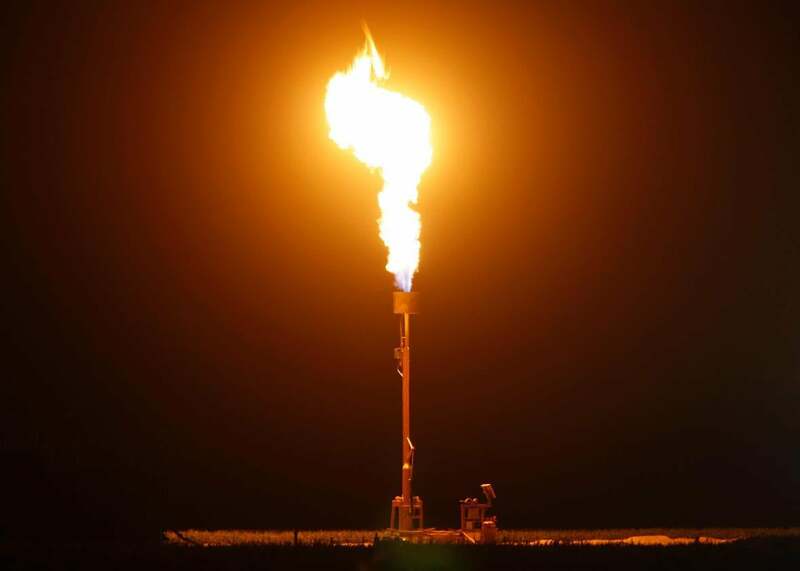 Gas is flared as waste from the Monterey Shale formation near Buttonwillow, California, where fracking is used, on March 22, 2014. There was a particular focus on the environment during Sunday night’s Democratic debate in Flint, Michigan, and for good reason: Flint’s water crisis has been one of this year’s biggest environmental news stories. For Hillary Clinton, the setting was an opportunity to try to separate her policy agenda from Bernie Sanders’ on the environment, an issue where she’s long been playing catch-up. Unfortunately, she failed spectacularly. During a 2010 gathering of foreign ministers in Washington, DC, she spoke about America’s plans to help spread fracking abroad. “I know that in some places [it] is controversial,” she said, “but natural gas is the cleanest fossil fuel available for power generation today.” She later traveled to Poland for a series of meetings with officials, after which she announced that the country had joined the Global Shale Gas Initiative. Fracking is the No. 1 reason why American oil and gas production has skyrocketed during Obama’s presidency. Methane leaks associated with fracking, meanwhile, are quickening climate change, and it’s profoundly changed the local landscape in countless locations across the world. The impact of fracking in North Dakota can be seen from space—even at night. But the issue is nuanced. Environmental activists have long contended that the process of fracking—or, hydraulic fracturing, where water is injected into wells at high pressure to form tiny cracks in rocks and extract oil and gas—leads to widespread contamination of local water supplies. Last year, a comprehensive report published by the Environmental Protection Agency said that while that does happen in the United States, it’s not a widespread problem. That’s probably what Clinton was trying to get at in her long-winded answer. She probably could have done so without hiding from her own past as a fracking superfan.